About Us > Recent News > Disasters Happen. Prepare Now. Learn How. This September is National Preparedness Month (NPM). The Extension Disaster Education Network (EDEN) has committed to participate in NPM as a way to increase preparedness throughout the U.S. 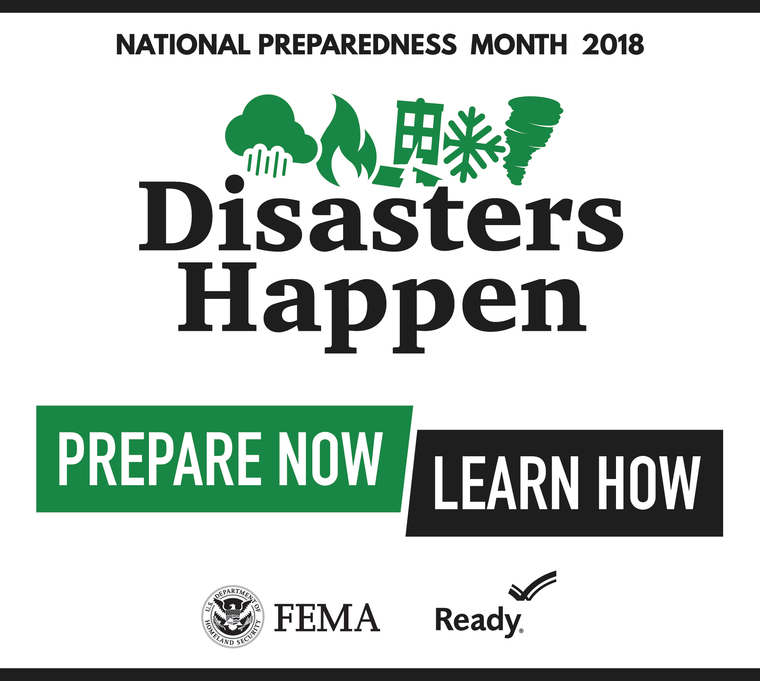 The month-long event, now in its fourteenth year, is a nationwide effort hosted by FEMA’s Ready Campaign that aims to encourage households, businesses and communities to prepare and plan for emergencies. EDEN is participating this year by engaging the public to prepare now and learn how. Preparedness is a shared responsibility; it takes a whole community. NPM focuses on turning awareness into action by encouraging all individuals and all communities nationwide to make an emergency preparedness plan. EDEN has a Family Preparedness course that is broken into modules such as why prepare, get a kit, make a plan, and be informed & get involved.